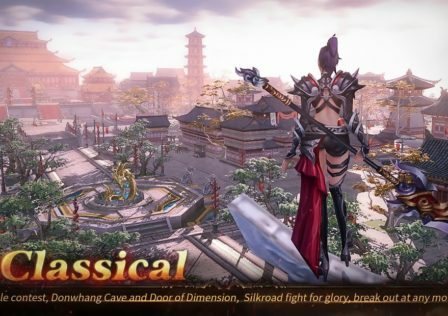 Final Blade Review – A worthwhile strategy RPG? Playtesting is a wonderful thing. The more a game is playtested, the fewer flaws you’re likely to encounter when you get around to playing it. Encouragingly, Final Blade has been getting playtested by hundreds of thousands of gamers in South Korea and Taiwan for two years, so it arrives on our shores in robust shape. Final Blade is a strategy RPG with a cast of over 300 characters that you summon at random with gacha mechanics. It’s in competition with countless other games in that genre, but it has a couple of tricks up its sleeves that developer Sky People hopes will help it stand out from the crowd. First, let’s get the story out of the way. 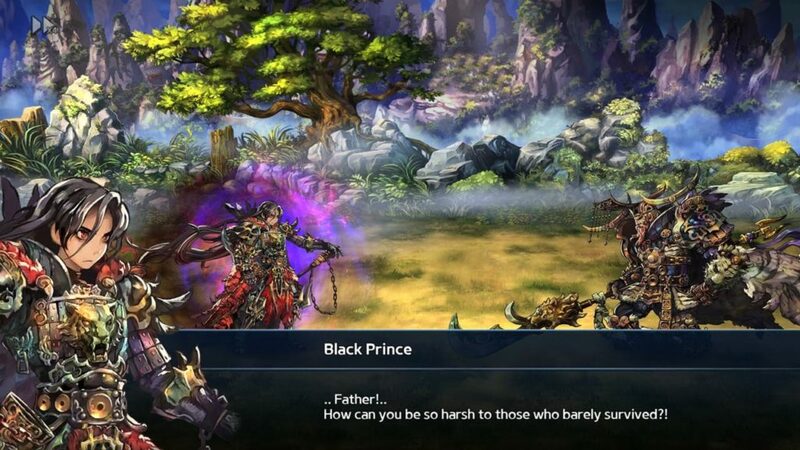 You play as Black Prince, a highly impressive warrior with a party of equally impressive warriors by your side. Unfortunately, in the very early stages of the game you come across a hulking great monster, completely unbeatable, and your fellow party members beat a hasty retreat. These heroes are visually impressive. Final Blade is a 2.5D game, with 3D backdrops and smoothly animated, deeply stylish 2D characters in a huge variety of inevitably Eastern designs. The game looks great. The story is entertaining too, with various twists and epiphanies to motivate you as you romp through the repetitive stages. You need to rebuild, by summoning heroes using sapphires. There are more than 300 heroes to collect, and they come thick and fast since it only costs 2000 sapphires to bring in ten at a time. Final Blade lets you buy formations, and you can set any of the ones you’ve unlocked before heading into battle. You can manually assign heroes to the various slots in your formations, too, though it’s easier to just auto-assign them. You can also buy and set an Ultimate – a devastating single use party skill. Each hero has their own skill too, of course, which you can set off manually or, again, just leave the AI to do it. The automation doesn’t stop there. You can replay stages automatically using sweep tickets, or by tapping ‘repeat stage’, or by using ‘continue battle’, which sees you automatically completing stages until you run out of rice (it costs you rice to fight), lose a battle, or reach the end of the chapter. This is very handy for the early stages of the game, where the focus is on gaining XP, summoning heroes, and levelling everything up. 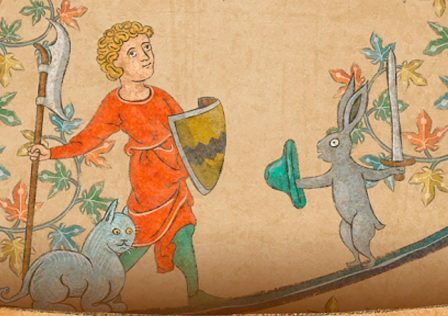 At this point battles are a formality – an entertaining, visually spectacular formality, but a formality all the same – so the opportunity to reap the rewards without babysitting your heroes is welcome. During battles your fallen enemies leave their souls behind for you to loot, netting you rice and sapphires. You have to do this manually by tapping on the glowing orbs, even with your heroes set to ‘auto’,unless you have a fairy. You’ll get some fairy time for free, but generally it costs money – so you’ll probably end up forfeiting this particular loot revenue stream, which isn’t particularly abundant in any case. The gameplay arc in Final Blade will be very familiar to fans of the mobile strategy RPG genre. Every time you fight you come away with currencies and items to sell, level-up, and equip as you see fit. You also acquire XP, and as you make your way up through the levels new game features become available. 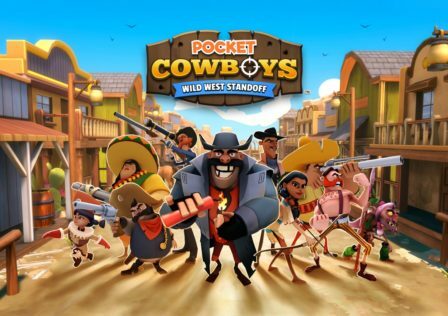 These include training (a way to speed-up the levelling process), guilds, dungeons, raid bosses, clan wars, and an intriguing mode called Black Money, in which you and your party ride down a gold wagon, kill the guards, and steal all of the cash. It’s fun to play the criminal from time to time. Off the battlefield there are the usual housework tasks, such as claiming all the rewards that come to you via completing missions, logging in, playing for a certain period of time, and so on. You’ll also need to manage your stable of heroes by keeping them levelled up and evolved. In addition Final Blade throws in novel enhancing and combining features, whereby you can enhance a hero’s strength by cannibalizing other heroes at various star ratings, and then combine any two heroes that reach max strength to produce a new, rarer hero. Interestingly, this process is random, so you can easily end up combining a Warrior and ending up with a Mage. If you don’t want a Mage, you can re-roll the dice at the cost of a few emeralds. In many ways Final Blade is an extremely familiar proposition, but it throws in a few twists to keep things relatively fresh. It’s packed with features and painstaking detail, but it lets you sit back too, pushing it towards the casual end of the strategy-RPG spectrum. You can check it out for yourself on Google Play now. If you’re a fan of the genre you’re going to play Final Blade regardless of what we say, since the game’s reputation precedes it. If you’ve got room in your life for another strategy-RPG on mobile, you probably won’t be disappointed.